Starting from the German leading quotation, which went up by as much as 5 cents, the Dutch and Belgian prices also went up by 5 cents per kg slaughter weight. In Austria, a 3 cents’ price increase was also observed. 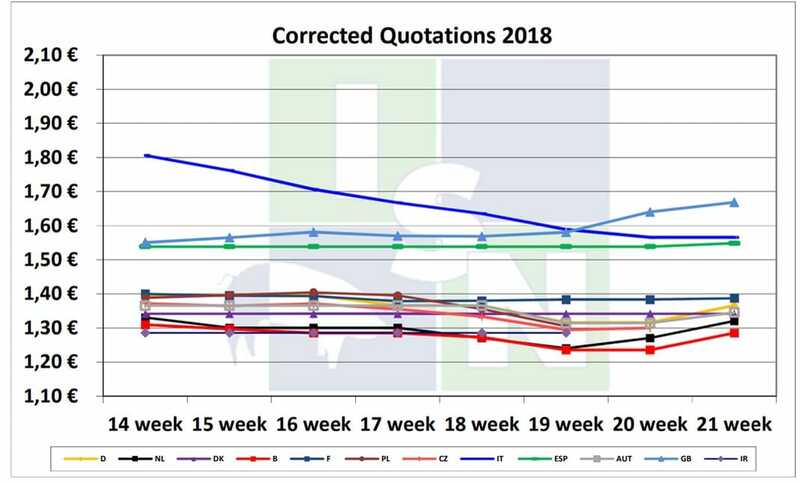 From France and Spain, no more than just a minor price increase was reported – in both countries, the quotations have however not been affected by the latest phase of weakness. The situation seems to be the same in Denmark, where the price has remained unchanged for the eighth time in a row, amounting to a corrected 1.34 euros per kg slaughter weight.